Sold by The Ozone Lair and Fulfilled by Amazon. Gift-wrap available. "Addressing the task of disciplining children ages 2 through 12 without arguing, yelling, or spanking, this program offers easy-to-follow steps to immediately manage troublesome behavior with reason, patience, and compassion. Parents and teachers learn how to encourage and respect childrens growing independence with 10 strategies for building self-esteem. Also discussed are the three most important qualities for parents or teachers to exhibit in order to foster competence in kids. Tips are included on how to prevent homework arguments, make mealtimes more enjoyable, conduct effective family meetings, and encourage children to start doing their household chores. This award-winning program discusses the importance of establishing and maintaining a home or classroom with fair and consistent discipline. This revised edition includes suggestions on how to avoid over-parenting, build childrens social skills, and apply the program within mental health agencies and classrooms. " 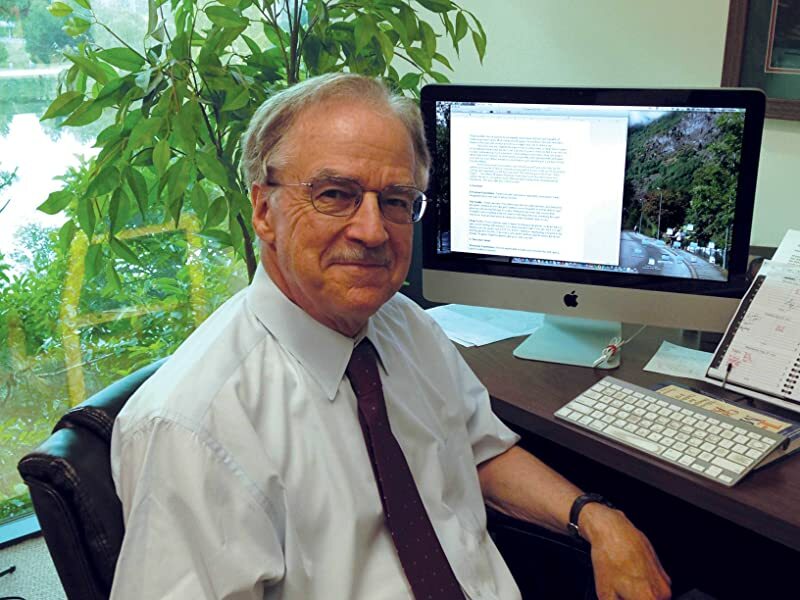 Thomas W. Phelan, Ph.D., is a clinical psychologist with more than 25 years of experience working with children and families. He is the author of All About Attention Deficit Disorder, Surviving Your Adolescents, Self-Esteem Revolutions in Children, Adults with Attention Deficit Disorder, and "I Never Get Anything," the winner of the 2002 NAPPA Parenting Resources Gold Award. He lives in Glen Ellyn, Illinois. First, I’d like to say I have no doctorate in child behavior and the only expertise I can actually share in raising a child/children is my personal experience with my own. I was first introduced to this book by my child’s pediatrician. They recommended this book b/c there were some serious attitude that had me concerned about my child at 18 months old. He would throw some serious fits to the point that he would develop a petechia rash on his face; he’d hit, bite, and pinch. I have no idea where he learned these awful behaviors from and I’m not gonna lie ~ it terrified me. I didn’t want to raise that kind of child, nor did I want to have that ‘kid’ in daycare. I wasn’t into the idea of spanking him. I felt that would just escalate the violence that he was already lashing out with. So, after reading the book and careful consideration, we tried this form of discipline. I’m not going to say that this book is the end all to bad behavior, nor is it some magical solution with raising a willful, stubborn child. My kid is almost 2 ½ yrs old, he is still constantly pushing his limits, and testing everything, and everyone. I’ve probably read this book once but I have refreshed/skimmed thru it several times in the past year. With saying that, idk if I’m in love with this book or if I just like it. My son still lashes out occasionally, but on less of an occasion that he did before. I’m giving it some more time, b/c it seems to be working… via the long route. But, who ever said that raising kids would be easy and full of short cuts? While I do believe that every parent will have a different child with a different personality, this method might not be for everyone. But for us, right now, this is the method that we have chosen to go with and it seems to be working. 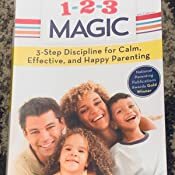 I also have downloaded and keep a summary pdf that I’ve found online of this book on hand for reference for baby sitters as well as family that I leave my child with. I’m not sure if I’m allowed to leave this link here but if you google csgreeley.org 1 2 3 magic summary a pdf will come up – it’s 8 pages long and I feel like it’s the best way to make sure everyone that watches my child is on the same page as me. If they have questions, I encourage them to ask and even read the book. There are some great ideas in this book. The parts about not getting emotional while disciplining are great and counting is also a good idea. The part where I really took issue is about locking your child in his room, even if he is trashing the room (not to mention, the book never addresses how to get the child to clean up the trashed room, it just says not to talk about things after the time out). In trying what this book suggested, my take away was to use a different technique for the time outs. Making a child stay alone while he cannot self-soothe is really not a good idea. I'm not sure if this is meant for older kids, but this was not helpful for a 2 1/2 year old. my mom always counted with me when i was a kid so i recognized the topic before reading the book. this goes into more detail like how long to wait between numbers, what to do if your child won't stay in his location after getting to 3, what is a countable offense vs. what isn't negotiable, etc. i actually started counting before finishing the book (never did finish) and 98% of the time my kids respond by the time i get to 2, so to agree with the author, this is super simple yet really does work, at least in my case. It was recommended by our counselor. We now see a new counselor too. I get setting limits. I also get counting and not giving in. But I also have compassion. I also want my kids to feel they are being heard and that it's ok to be upset, it's just not ok to be mean or disrespectful when upset. And this book doesn't teach that. It teaches that when you act in a way that I dislike, I'll make you go away. No matter how upset you are. No matter what happened. No discussion. No help working through emotions or reason. This is NOT another touchy feely parenting book. I've read all those and they don't work for a strong, independent 4 year old. This book worked the second i started implementing the 1-2-3 tactics and I don't have to yell anymore! My daughter takes me seriously now! My husband and I don't fight about discipline because he sees this work with very little effort. LOVE this book. Read it today, you won't be disappointed!! Our little girl is passionate and has a hidden fury inside of her that gets released as soon as you engage. 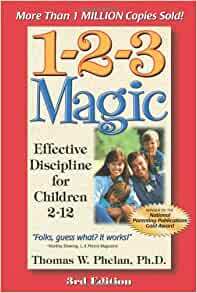 This book has helped me learn how to diffuse her stop (read: challenging you to a show down) behaviors with just a few counts. For her, time out is the first level of discipline with the follow up being a time out alternative of her baby dolls serving her time.. way worse for her! But either way it's really working and quickly. What to pair with this is just solid sleep and making sure you stay ahead of their hunger. That multiplies her fury by x1000. As I read this super chill guide, I absolutely saw myself in almost every example of what not to do for your kids in helping them to become independent, successful members of society. No matter how hard I’ve tried, I’ve pretty much become the mom I never wanted to be: a frazzle-haired, screaming-from-the-other-room, spanking-without-discretion MOM-STER. I have created tiny critters aged two and four who scream and yell and kick and hit and whine and cry. I have negotiated with tiny terrorists for the last time! No longer will I waste our lives being angry and feeling out of control. I will listen, I will encourage, I will praise, and I WILL COUNT! The text was plain, entertaining, and effective. The graphic stories were spaced perfectly and emphasized the text. I will be recommending this book and technique to any other MOM-STERS who reach out to me for help! "You are not negotiating with your child or even getting angry. Clearly give them three strikes and when they hit the third strike disobeying put them in timeout. Over time they will stop disobeying on the first strike. The key is no negotiating and not even getting angry, just saying 'that's one' very calmy."